 Industrial Clutch Parts Ltd. supply a complete range of Gummi Drum Clutches and Brakes. The constricting clutches and brakes are manufactured with elastic neoprene tubes integrally bonded inside the face of the rim. Gummi LT Air Clutch is similar in design and construction to both the FK and FKT Gummi elements in form and function. Used primarily on drilling equipment manufactured in China, Russia, and Romania. Industrial Clutch Parts Ltd. distribute the Gummi LT element to a variety of power transmission applications. The Gummi LT Air Clutch and Drum Brake is well suited for a wide variety of power transmission applications in the drilling industry, on equipment manufactured in China, Russia, and Romania. Available in 15 different sizes, the LT design and construction is simple in operation. An integrated neoprene tube, reinforced with various ply of cords, is vulcanized to the inside of a steel rim. A set of friction shoes are connected to the inside of the tube using shoe pins and lock wire kit. When the tube is pressurised, the friction shoes are forced to engage around the drum. The rubber nylon cord-reinforced air tube forces the element’s friction shoe assemblies against the outer edge of the drum. The LT unit has been manufactured to transmit torque through its sidewalls, absorbing shock loads and vibration to protect the drive components from the transmission. The rate at which the air tube is pressurised directly affects the rate at which the torque increases. The neoprene rubber tube formulation also reduces the effects of torsional vibrations. The flexible design allows the tube to compensate minor misalignment and axial movements of the shaft. The Gummi type LT element is similar in design and construction to both the FK and FKT elements in form and function. LT300/100, LT500/125, LT600/125, LT700/200, LT800/135, LT500/250T, LT700/250T, LT700/135DY, LT800/250T, LT800/250T, LT900/250T, LT965/305T, LT1070/250T, LT1168/305T, LT1170/250T.